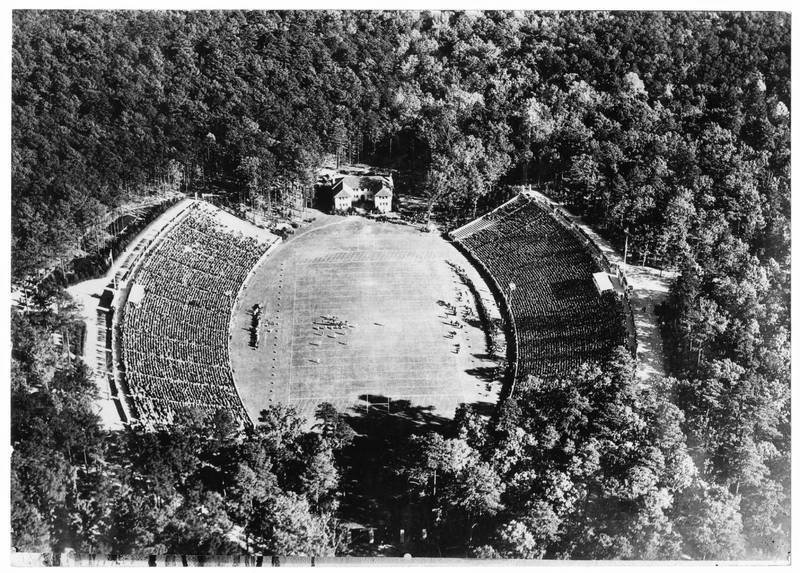 Nash also designed Kenan Stadium, completed in 1927 with funds from William Rand Kenan, Jr., who made the donation to honor his parents. The stadium is located in a forested valley south of Wilson Library, a beautiful natural amphitheatre. The football team played its first game there on November 12, 1927, defeating Davidson College 27-0.